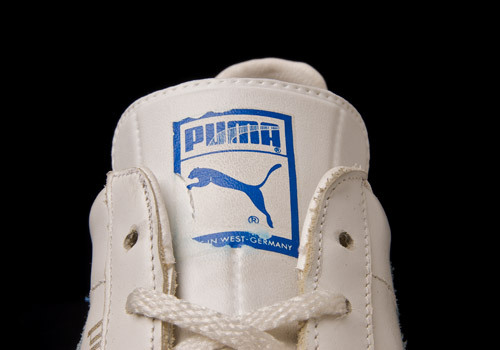 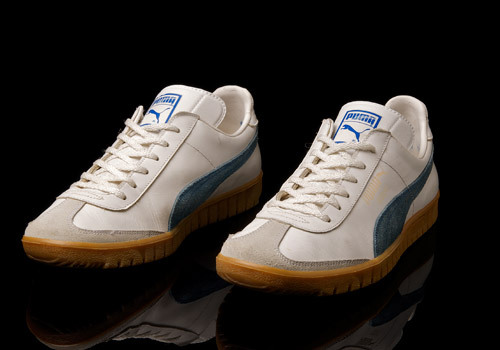 I always get a bit excited when I’m unlacing a vintage pair of PUMA’s and discover the ‘Made in West Germany’ text below the tongue logo. 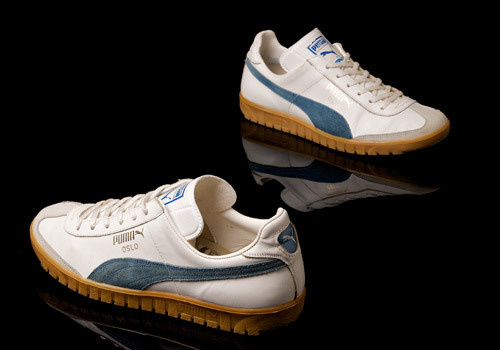 It’s not just because eatmoreshoes is located in Berlin (as well as London) but mainly due to the pure quality that tends to come along with a pair produced in good old Deutschland. 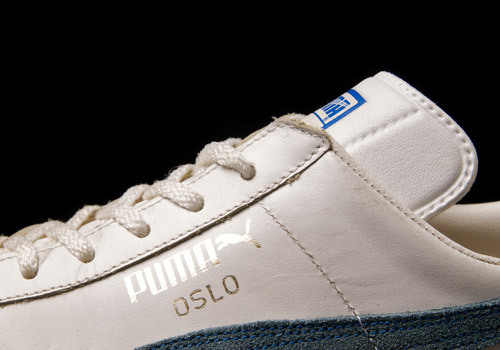 These Oslo’s are ancient and despite a mild bit of wear, they actually hold up quite well considering their age. 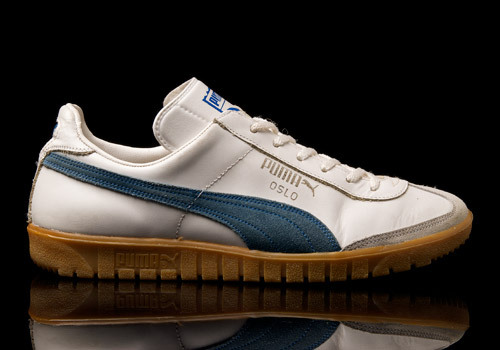 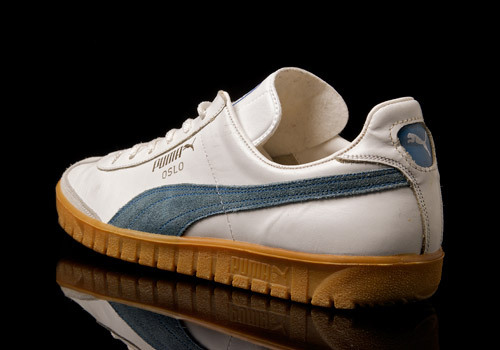 The thick white leather upper is still smooth with minimal wrinkling and creases, the rough suede toe patch and form stripes are still tinted as intended, and the extremely solid gum sole looks like it could endure another few decades. 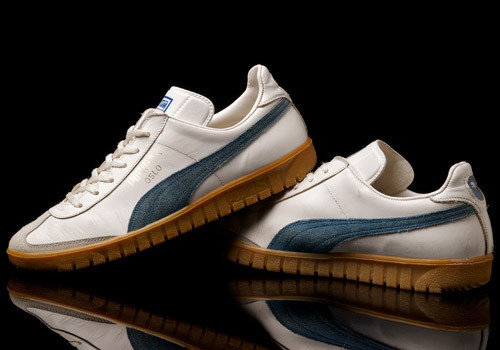 Definitely capturing a casual yet sporty look above the board, these Oslo’s lose my love when it comes to the design and mold of the outsole itself. 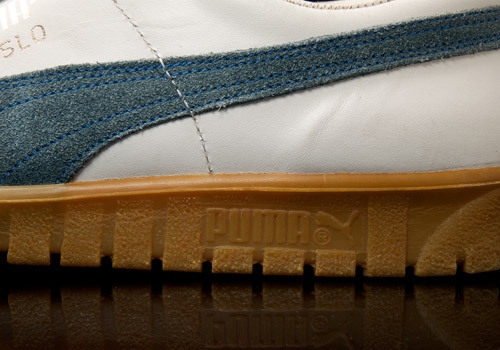 They’re quite thick and also textured for grip with teeth which are visible from the side, giving the shoe a heavier appearance than it actually deserves. 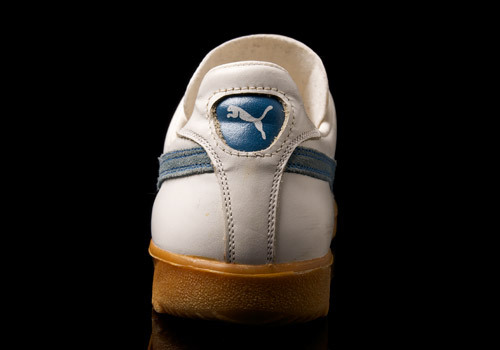 This detracts from the great shape formed between tongue and toe, and only manages to draw attention away from the nicely placed layers and simple yet satisfyingly tasteful colorway.